The weather forecast for the Memorial Day weekend looks good. There is no rain in the forecast for fours days. The only issue, I have to work on Monday, Memorial Day. Saturday morning, we got underway at 09:30. The crew consisted of Cathy, Michele, Ziva, and I. The winds were out of the North at 15 plus knots, so the fetch would be to a minimal. 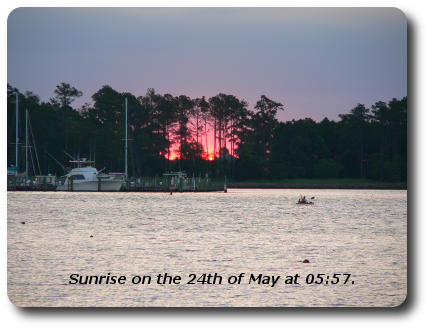 When we cleared the Whittaker Creek channel, we first start on a close reach to South River. It was the first in a long time since Michele and Ziva been underway, even though there wasn’t much chop, Michele was uncomfortable with the patch and angle we were kneeling. was more favorable closer to shore. We tack to get closer to shore and sail between two sailboat heading north bound. The sailboat on our leeward side was doing good. It look’s like they were heading out to Ocracoke Island. 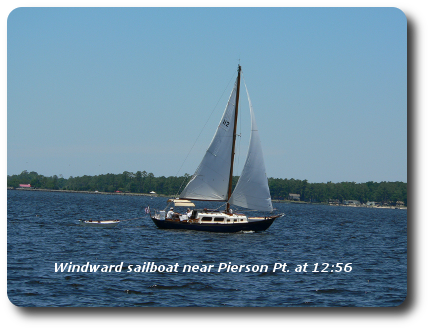 The sailboat on our windward was doing okay, until they ran aground at Pierson Pt. Over all, we had a good sail. We moored at Whittaker Creek Yacht Club at 14:30. Ziva had business to attend to. There was music at Silos, Silospalooza. It was Michele first. Dave and Gail drove us over again. Over all we had a great time. 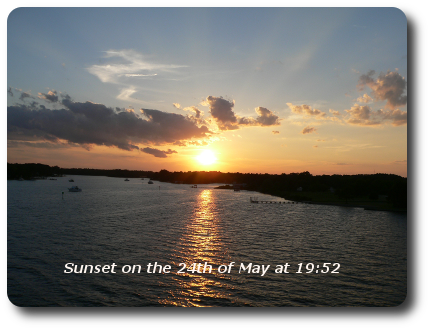 May 27, 2014 in Oriental-NC, Sailing.